exPress-o: Six Sinful Takes On Fall Cravings. What is your fall craving? As my mom says, autumn is the time to give into your cravings and nourish your soul. It's the time of the year that we should all just let ourselves enjoy everything and leave the feeling of guilt till spring. 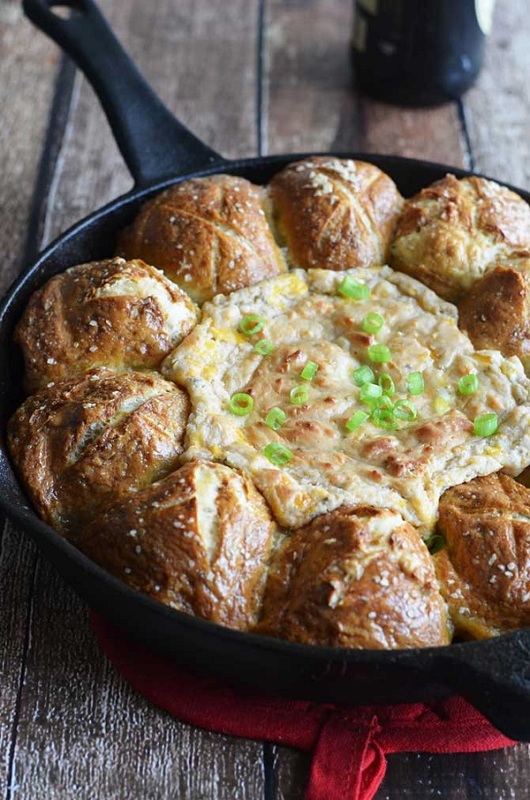 So here is my #1 autumn craving: skillet bread with some sort of gooey dip. Admittedly, not the healthier choice but there is something about warm bread that screams early autumn dinners, doesn't it? Ever since I got a skillet pan, I've been loving the convenience of making a meal in one simple pot. 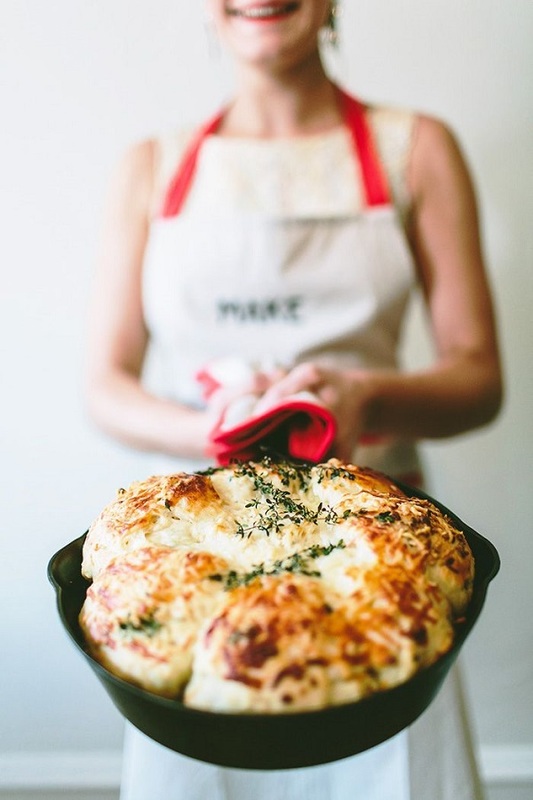 So here are the six delicious, comforting and sinfully irresistible skillet bread recipes that will make your autumn evenings or telly weekends all cozy and perfect, starting with the above: cheese-garlic pull-apart bread (aka our dinner last week). 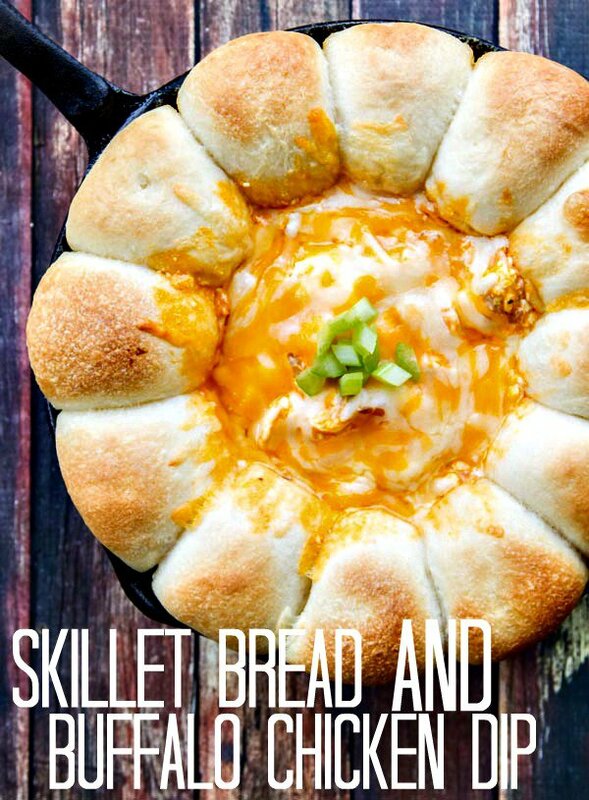 Buffalo chicken dip with skillet bread. 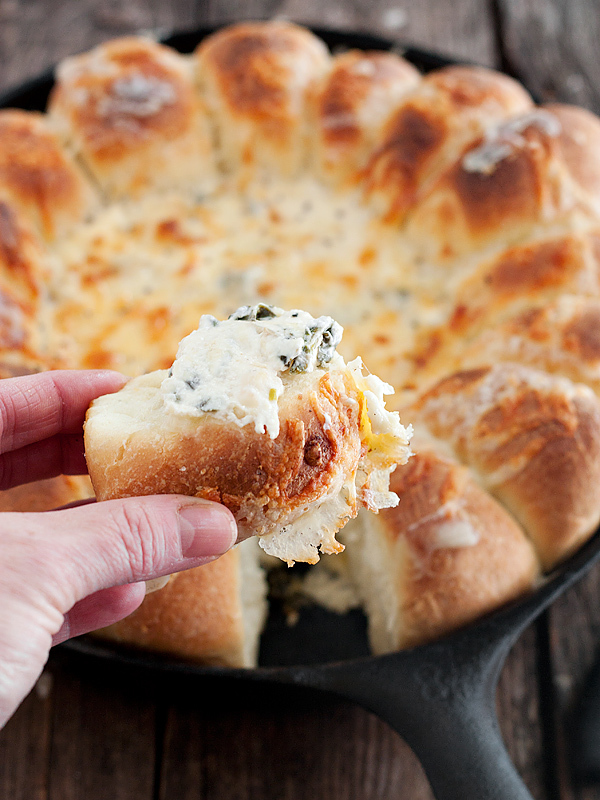 Skillet bread with artichoke and spinach dip. Pretzel rolls with Mexican cheese dip. 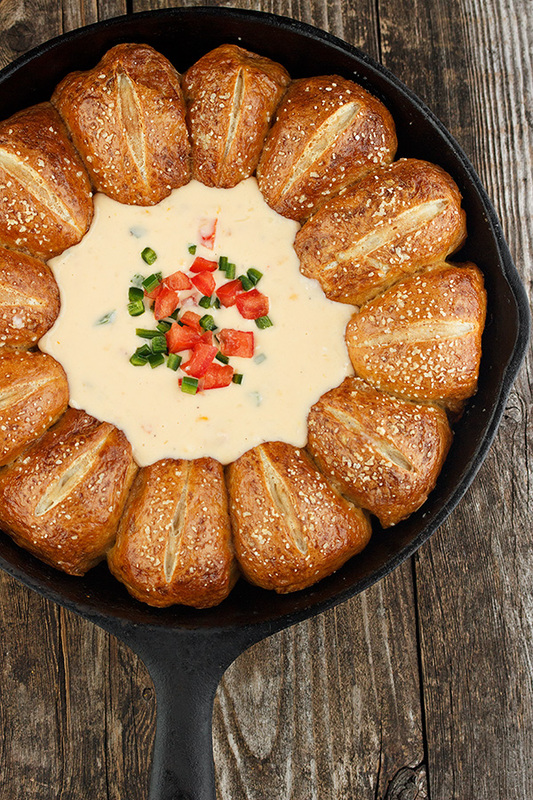 Pull-apart pretzel skillet with beer cheese dip. And cheese and red bell pepper sauce with skillet pan bread. P.S: Plus, indoor s'mores and bloomin' gooey cheese bread. P.P.S: Genius one-pan 10 minutes pasta. oh yes!!! The one with Mexican dip looks incredible!! Fall food is the best, isn't it? These all look amazing!!! 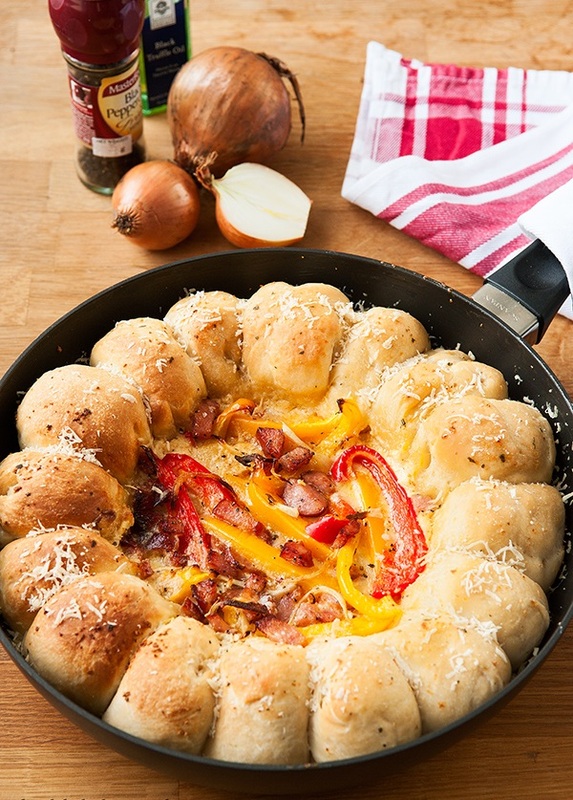 I've never had skillet bread, but that's gonna have to change for sure! I am taking your moms advice for sure and giving in to those cravings! My soul needs nourishing...especially with large amounts of bread and dip!